I think this man is absolutely adorable. Don’t you just want to hug him? 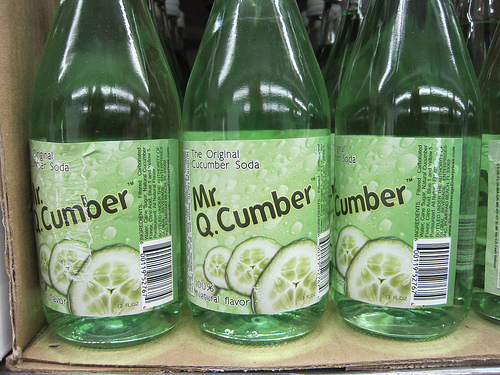 And then try the cucumber soda? I love when asked how he describes his job he says, “happy”. That’s exactly how my job makes me feel. It’s inspirational to see people dedicating their lives to following their passion. Mine happens to be training, his is soda, what’s yours? I believe that now more than ever before we can all do exactly what it is that makes us smile. We have access to minds from all corners of the world, we have twitter and youtube where great ideas catch on and spread like wildfire, everyone can start a website, anyone can follow their passion! I have been working for the last year but I still get excited everyday about work and I feel like my job is the best job on the planet. Imagine if everyone where this happy going to work – I think the world would be a much better place!